A lightweight and non-greasy formulated night moisturizer. With effective skin whitening agents, SEPICALM™ VG WP* and SEPIWHITE™ MSH* for a lighter complexion and more even skin tone, and powerful anti-oxidants derivatives to nourish and revitalize skin. Use every night as the last step in your skincare regimen. Spread evenly on face and neck, gently massage until fully absorbed. Avoid eye area. 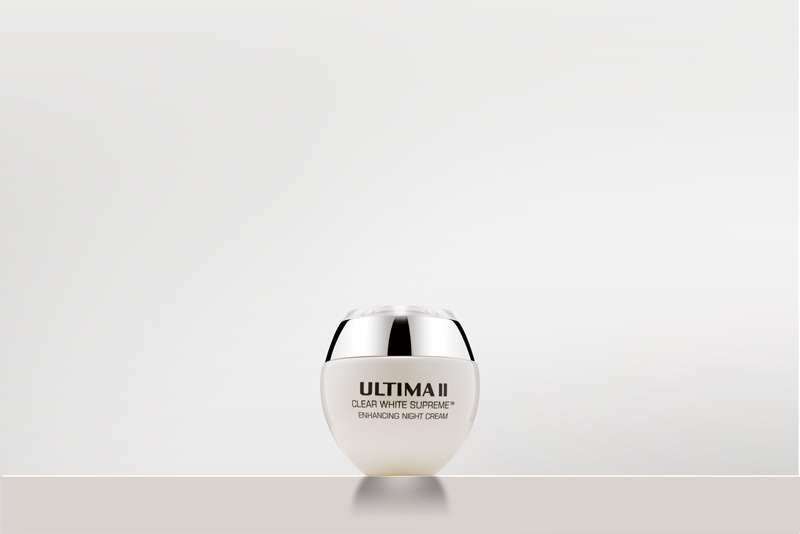 For best result, use after ULTIMA II CLEAR WHITE SUPREME™ Whitening & Anti-Aging Face Essence.